Does your smartphone, tablet, or laptop need some extra “oomph” in the audio department? If you’re like me, I use my smartphone for enjoying streaming music while I am working around the house, at the beach, or on the patio enjoying some drinks with friends. However, with the mantra of mobile devices being smaller/slimmer is better, the built-in speakers leave a lot to be desired. 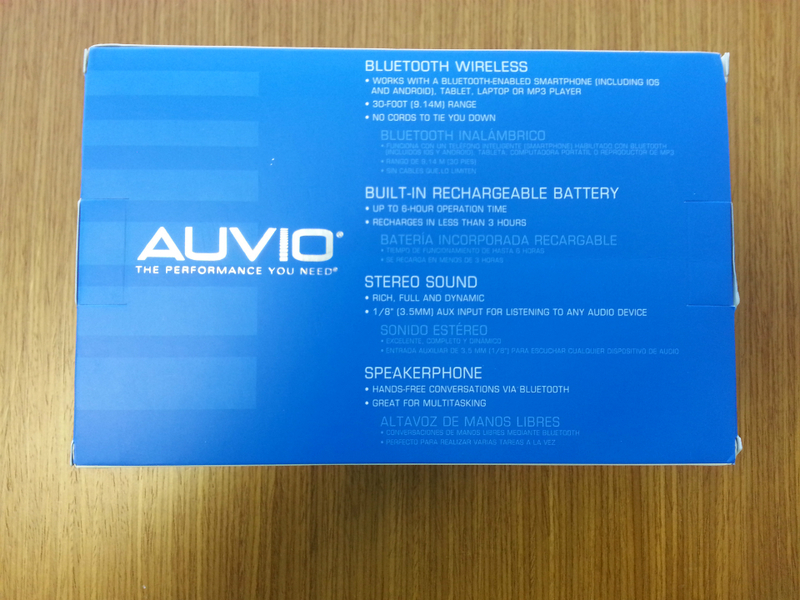 Fortunately, some companies have taken notice and now offer portable speakers for your mobile devices. 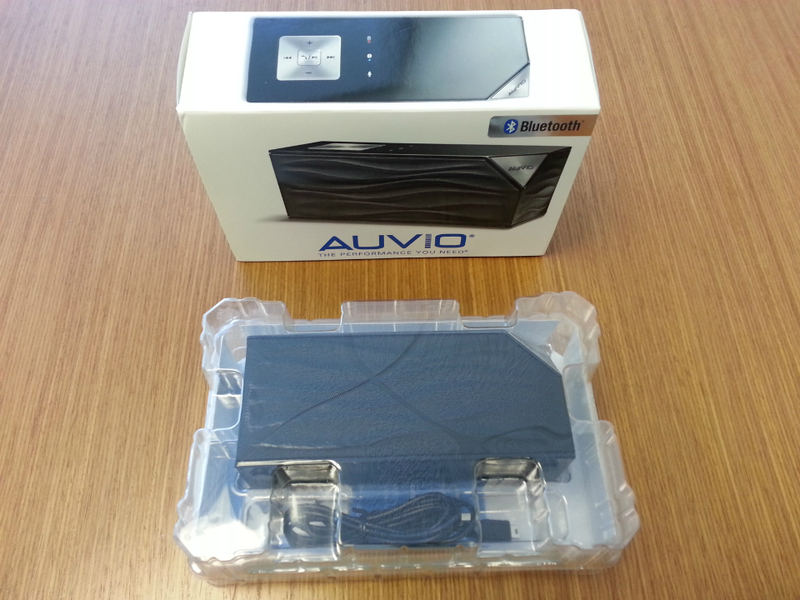 There are several brands and models on the market today, and today we will be taking a look at the Auvio Bluetooth portable speaker. 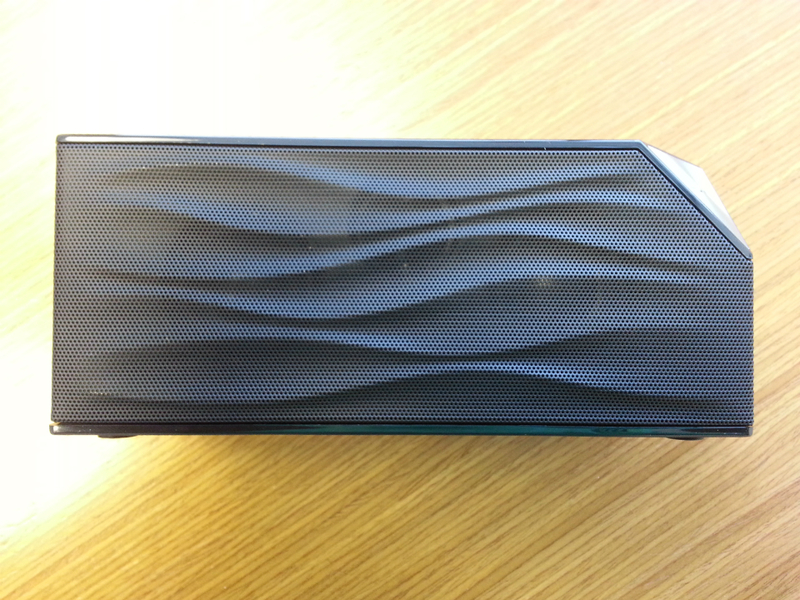 For a list price of $79.99, this speaker advertises “Rich, Full and Dynamic” stereo sound, but does it deliver? Before we get started, let’s look at the specs. USB connection for charging (can operate while charging). 2 x User guides (one in English and one in Spanish). 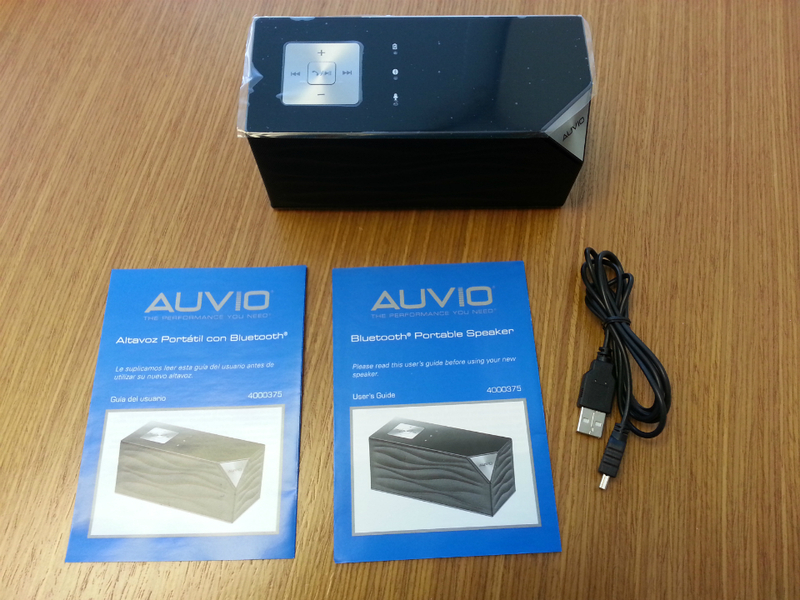 With the Auvio Bluetooth portable speaker out of the packaging, the first impressions are small and light. 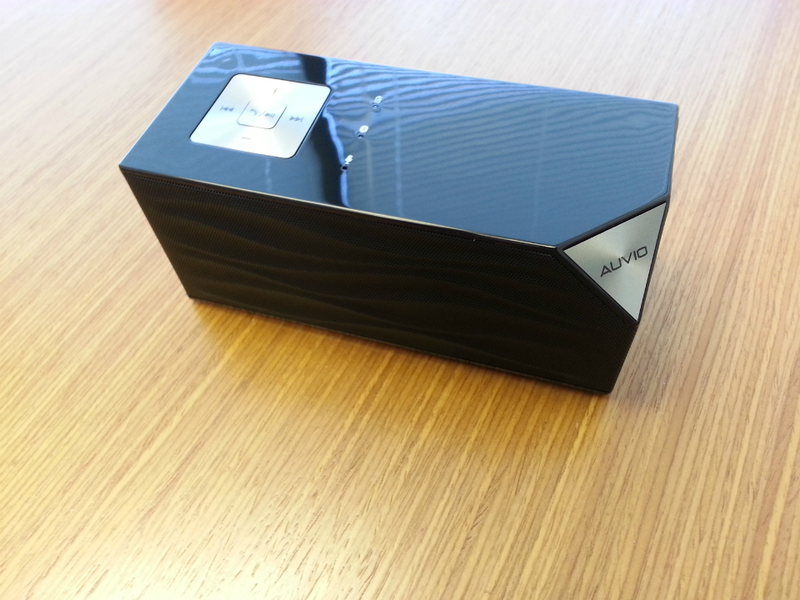 Sadly, the second thought because of this being so small and light, was that it was probably going to be cheap and fail to deliver. However, I restrained myself from making further judgments until I had an opportunity to hear it in action. 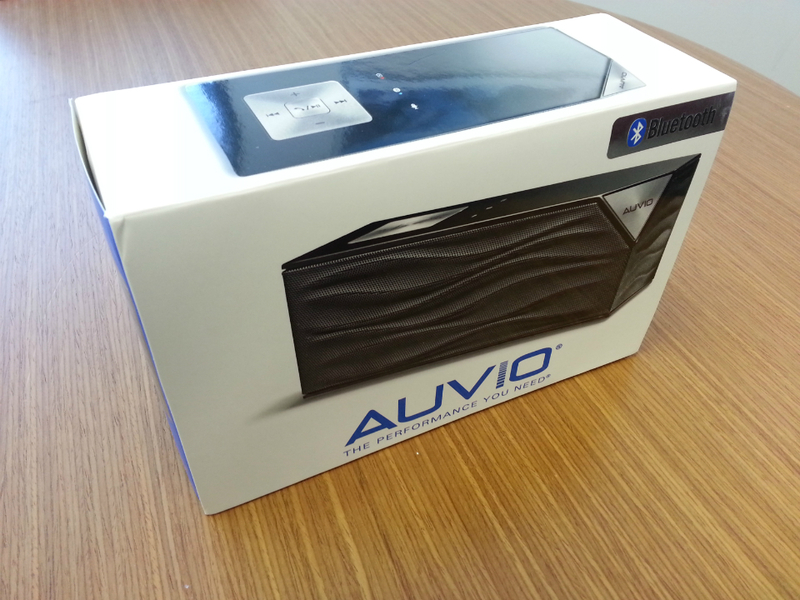 Aesthetically, the Auvio Bluetooth portable speaker is attractive with its water wave inspired front grill and gloss piano finish on top of the speaker. The buttons are large and easily manipulated, and all the various functions and indicators are clearly marked.